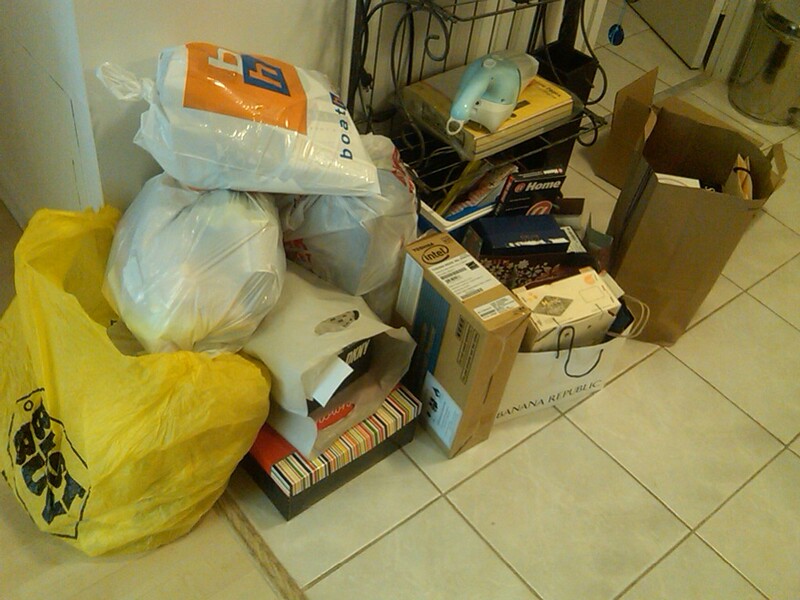 7 bags and lots of boxes and this is just from one closet! I don’t consider myself a hoarder or an unorganized person but sometimes I like to hang on to stuff because I think they have sentimental value or maybe someday I would show them to my kids and tell them about the stuff I use to do. I have boxes and boxes of pictures, school calendars, little pieces of magazines with stuff I wanted to buy all stored in my closet, to the point that the bottom boxes are crumbling underneath all the weight of my memories and to make the matters worse I have no room left for my clothes anymore. So today I said ENOUGH and I went through every single box, drawer, bag, binder and album and I threw away everything!!!! I figured, I don’t need a little piece of paper with little doodles on it about an ex boyfriend, or calendars that marked my exam days from 1999 to remind me of a failed mark I got on a calculus quiz or a reminder for a birthday of a friend I no longer keep in touch with. It’s a weird sensation to go through the stuff I gathered over the last 10 years and see how I’ve changed. I read through a diary I kept about a crush I had on a “hot hockey player” in my class, and I thought it was so funny and sad at the same time, he turned out to be a jerk and the diary ended up in the garbage. 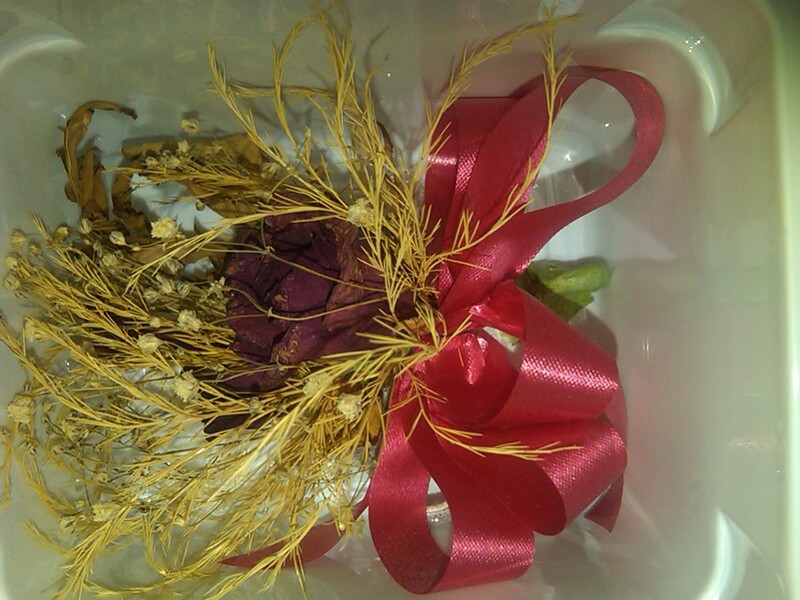 The one thing I found that made me smile was the flower pin my prom date gave me on prom night. It’s nice and safe in a little box. I don’t even know what happened to my date. I fell out of touch with him. Oh well…. interesting articles and some odd trends between the mish mash of pages. 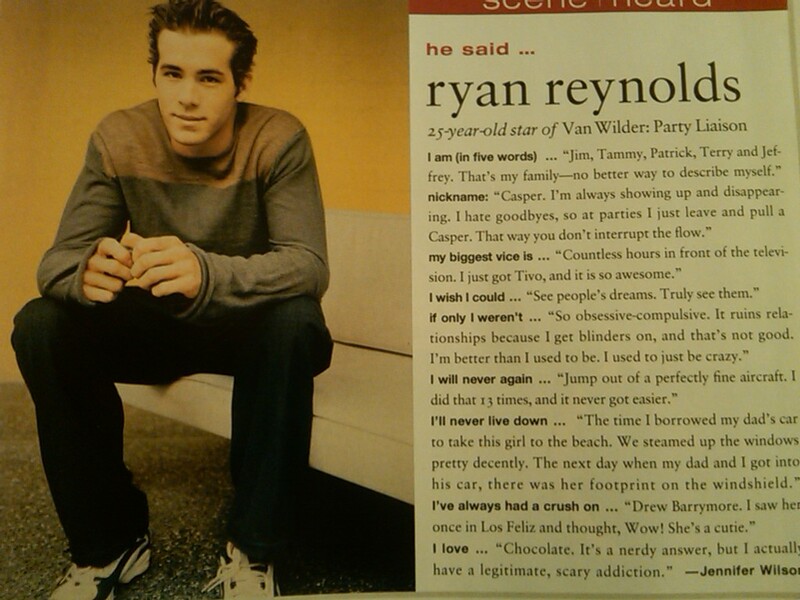 Some of the pages were about up and coming actors, mostly male actors, and I found a piece on Ryan Reynolds in an issue of InStyle magazine from 2002. He was only 25 then and so cute with his baby face. So I leave you with that article….wish me luck on my cleanup and i hope I don’t regret throwing all my stuff away! Click on the image to open a bigger version of the article. Previous PostHere I Though I Was Being Good!